Are You Translating Learning Content? Over the last two years, my company has evolved its operating structure from being a multinational corporation into a true global organization. As a result of this, our L&D services have changed in scope and scale. In addition to developing and delivering training for our employees in North America, we are now tasked with supporting all of the markets in which we do business. Needless to say, we have developed our capability to deliver learning services in multiple languages. In fact, our internal translation management group recently told us that we have pushed ahead of marketing and communications to become the number one consumer of translation services in the company. We have now taken on somewhat of a spokesperson role inside the company to help other departments who have translation needs. Who pays? This is the biggest issue we face. We do not carry a budget to cover the cost of translations as part of our learning design process. We must ask this question to the project requester. Most often the response is, “I hadn’t thought about that.” We do our best to provide an estimated translation cost. Then the project sponsor must decide how to proceed. In most cases, the cost ends up being borne by whoever is trying to push the content out to a particular audience. But in some cases, the costs are covered by the countries that require the translations. Either way, we do not move forward until it is clear who will be paying the bill. Who will review this? We work with some wonderful translation vendors. They are reputable and reliable, but they are not part of our company and don’t know our culture. Before we can finalize any learning material, we require sign-off on the translation from someone inside the company. It can really derail your project if you don’t have your reviewers lined up ahead of time and ready to go when needed. Our L&D team doesn’t have the language skills or resources to evaluate the translations, so we require whoever is paying for the translations to identify who the reviewers will be. What is unique about your content? 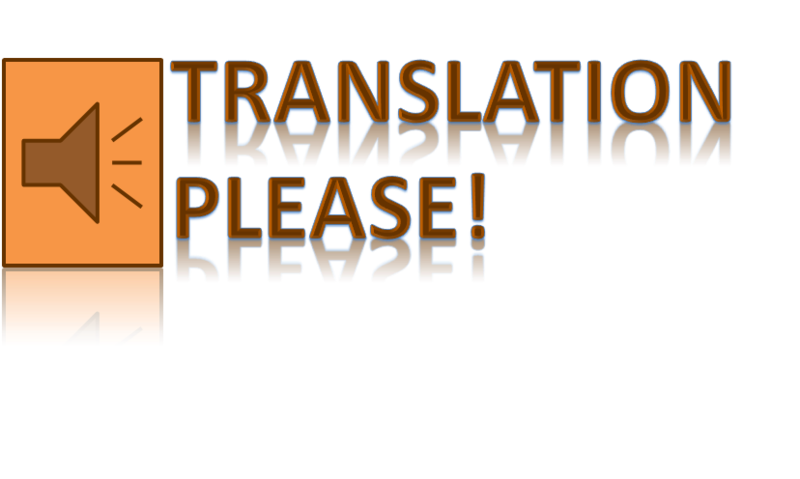 The world would be a great place if there was one translation vendor who could do everything we needed, but unfortunately, that is not the case. Just as different vendors specialize in different languages, many of them specialize in different content types. We provide learning services to all parts of the company. This means that we deal with content that can sometimes be very technical in nature (such as product training), very nuanced (such as soft skills training), very marketing oriented (such as training aimed at external audiences), or very heavy with legal implications (such as compliance training). Different vendors specialize in each of these areas. It is good to have relationships with a few vendors to cover the whole content spectrum. What is unique about the target audience? Straight translation from one language to another can be a dangerous thing. It is important to understand a little bit about a country and its culture before publishing translated learning content to them. Some countries expect more formal language than others. Idioms don’t translate well. And there are host of other differences that need to be taken into consideration. A good translation vendor can help with some of these issues, but it really falls on to your in-company language reviewers to let you know what will and will not work for their audience. A few years back, I worked on a new orientation program that we titled, “Get Connected!” It had to be translated into several languages. One of my in-country reviewers told me that the way our vendor had translated the program title it came out as, “Let’s Hook Up!” That is certainly not what we meant to convey. What type of learning approach are you taking? Different languages say things in different ways. Some languages require more time and space to say something that may have been short and quick in the language of origin. This has implications for text size, placement of graphics, synchronization of narration, and a number of other things. It can create some complex problems for integrating translated content back into your source files. Some translation vendors can do this for you, but they don’t do it for free.